In my opinion, there is only one thing you need concealer to do, and that's cover up imperfections. While foundation is something you might turn to in order to even out skin tone or when you just want an overall polished look, concealer blots out the red patches, spots and dark circles that need a bit more attention. It's for that reason you need a concealer to be a fairly thick consistency. Otherwise, quite frankly, what's the point? Now, there are many on the market that are in the late teens prices, which all work incredibly well (see our best concealers for a comprehensive guide), but sometimes a cheaper product comes along that's just as good as the other more expensive products. 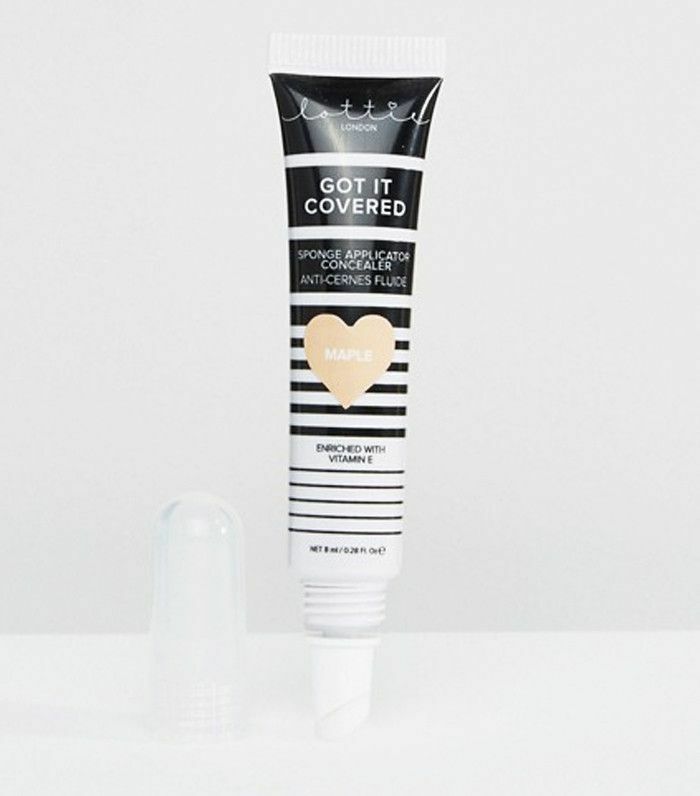 Makeup brand Lottie, well-known for its brushes, has created a concealer that will cover any blemish and is especially great at magically making your dark circles disappear. Keep scrolling to read our full review. Okay, for the skeptical among you, I understand that you're thinking: But a concealer's just a concealer. In some ways that might be true; they should all be doing the same job. But as I mentioned, if it's not thick enough to cover your blemishes, then you've got the wrong concealer. What I love about Lottie's concealer is that it is a really decent consistency. Think a toothpaste level of thickness; that's what we're dealing with here. If pigmentation is also something that concerns you, then worry no more; on that front, Lottie also delivers. While the range of shades isn't particularly large (perhaps its only downside), the pièce de résistance comes in the form of a soft nozzle that helps to apply the product onto your face. Not only will you avoid prodding your fingers onto that gentle skin around your eyes, you'll also be able to avoid putting fingers on blemish-blighted areas, potentially avoiding more breakouts. Of course, the price tag makes it even more worthy of a must-try, and we'd argue it's the perfect item to keep in your handbag when you need a quick touchup on a night out. And if you lose it? Well, it's no biggie. Want more coverage? You should see our run-down of the best foundations.